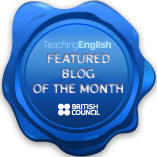 Note to the reader: this post originally appeared on the IATEFL Teacher Development SIG website. As a year has gone by and I like having stuff in one place, I’m republishing it here. I recently started shaving with a straight razor. No, this isn’t going to be a post about how manly I am. It’s going to be about how I decided to make this change, and what this has to do with my becoming increasingly mistrustful of innovation as a force for positive educational change. Movement is the destruction of balance. I don’t know who I originally heard this from, but it was in the context of running theory. The idea is that in order for a physical body to move in any direction, it cannot be in a position of balance. That is to say, it cannot be maintaining a given position against the pressure of gravity. For movement to occur, this balance needs to be destroyed, if only momentarily and if only slightly. In order to run, all we need is a very slight forward lean from the ankles, and gravity takes care of the rest. We realign ourselves with gravity by bringing our feet up fast enough to catch ourselves from toppling, and repeat the process. I am lucky enough to be one of those invited to speak at the upcoming IH Barcelona ELT Conference, 8-9 February 2013. The event has already sold out, but if you are going to be there and have no other plans between 12:45 – 1:45pm on Saturday 9 February, then come along to room B at the venue, where I’ll be talking a good fight about how to knock seven bells out of your lessons in future!